Delightfully cool and sugary sweet, your patrons will love this Reading Soda Works 12 oz. black cherry with their meals. Black cherry will complete your selection of soda flavors with its unique taste. Similar to cola but with an added cherry flavor, black cherry satisfies your guests' cravings for something that's fruity and sweet. It provides an excellent pick-me-up any time throughout the day, whether you're selling it at your movie theater, diner, fast food operation, pizza shop, sandwich shop, or take out station! 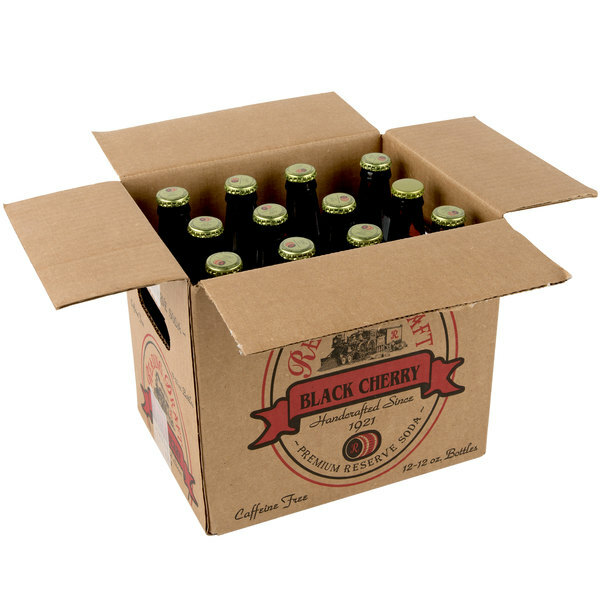 Additionally, this black cherry comes in a dark glass bottle for a classic, old fashioned look. I really love the old fashion look of Reading soda works bottles and packaging. The product does not just look cool they taste great too. craft soda. its definitely sweeter than a stewarts or dr. brown. pacakage came neatly wrapped and non of the bottles were able to move so no damage either. A really delightful black cherry soda that tastes splendid. 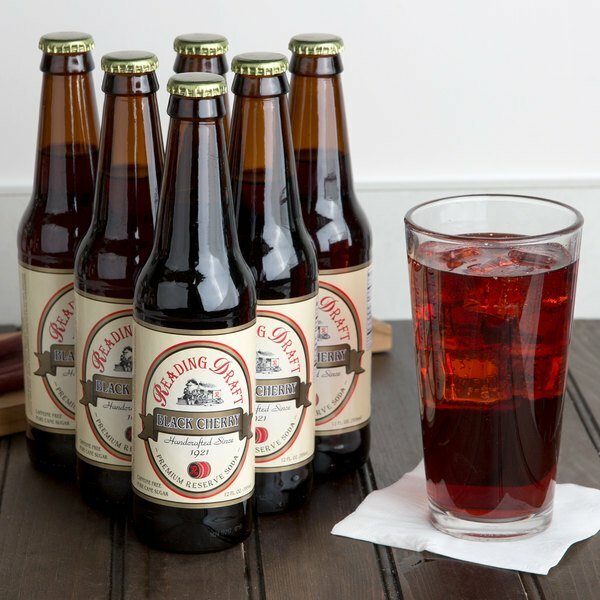 A great way to enjoy the fresh taste of cherry in a great soda. Love the Ready Soda Works brand. So much quality and flavor. A bold and sweet tasting black cherry soda that is so good. 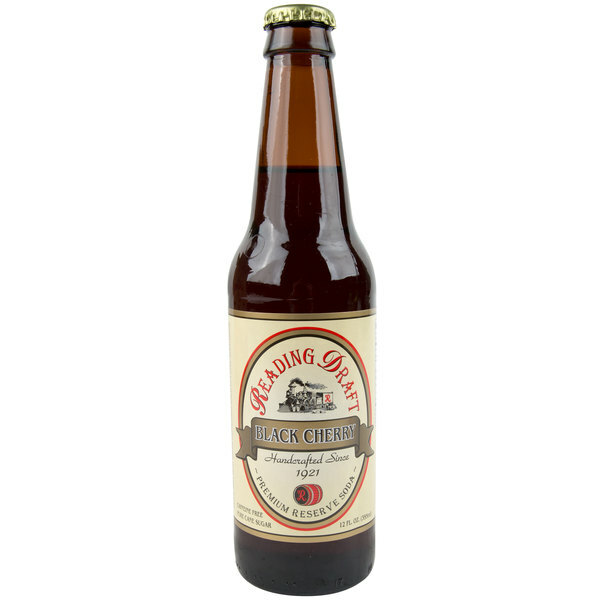 A great craft soda that is perfect for our bakery and our customers have come to love it.